Troxel Helmets Home Testimonials Electrifying and A Hoof Pounding!! Electrifying and A Hoof Pounding!! This story is about my 12 year old fearless daughter Destiny. She rides a 13 year old black and white paint named Cherokee. 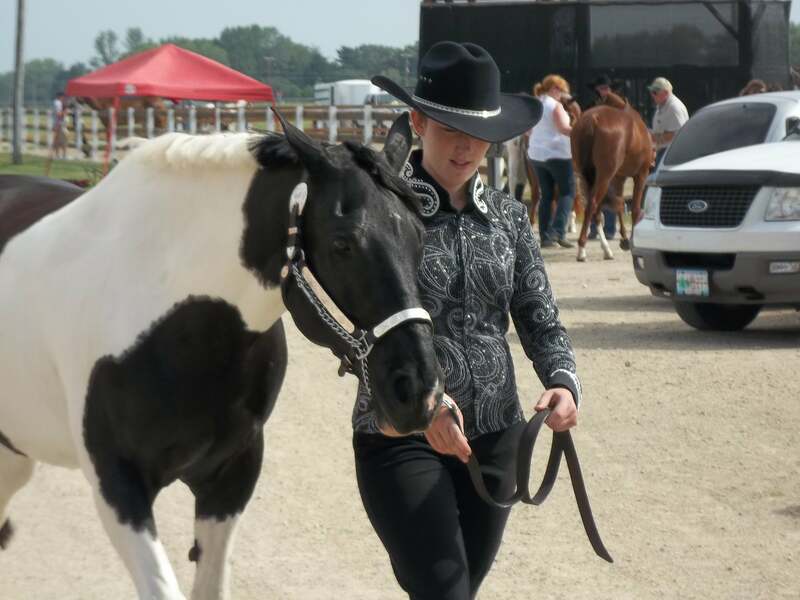 What a team and what a bond they have riding in open shows and 4-h county fairs. One day as many times before Destiny walks across many pastures and gates to get to the field where cherokee awaits. As always hops on with a rope and halter only and heads back to the barn. At each gate you have to sidepass to it and unlock the chain. As she does this Cherokee makes a slight miscalculation and touches the fence. Instantly the electric current travels through her muzzle and throughout Destinys body. Cherokee jumps throwing Destiny to the ground. The horse then puts her foot on Destiny's calf and does a pivot before she goes darting off! Instantly her leg turns black and I mean hugely black. So I (mom) take her to the hospital and thankfully no concussion, no broken bones and thankful for this huge hematoma that she still has today! The doc says it may take a long time to heal and for the body to re-absorb. I am very thankful they both are ok! Destiny no longer rides her in to the barn so she learned something! 2nd injury to her was when her other horse who is young reared up while she was clipping her. When the young filly came down she was clipped in the head with her hoof. Again back to the ER! No concussion again thank goodness! I sure hope she doesn't run out of luck! Her fearless determination is amazing!